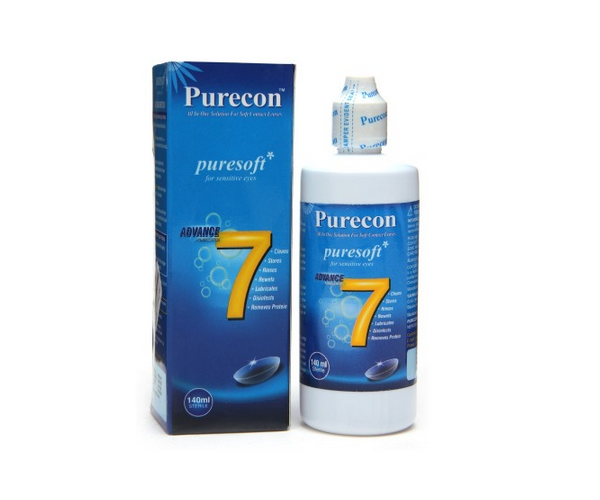 Purecon Puresoft Multi Purpose Lens Solution pack 140 ml. this is smaller bottle comes in handy for travelling purpose. The lens bottle is blue and white in colour. it is useful to use with all soft hydrophilic contact lenses at a reasonable price of Rs. 240. The solution effectively cleans the contacts. It also removes proteins. The solution is absolutely safe to use for your eyes. "